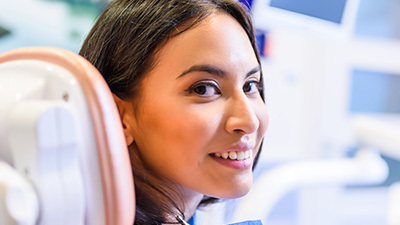 With bonded porcelain restorations, our dentists at 21st Century Dental can remove a defective portion of the tooth structure while lending strength to what’s left over. It is necessary to remove a certain amount of tooth material in order to receive the treatment. However, once you see the results it can provide, you’ll be glad you took advantage of this service. Why Choose 21st Century Dental for Bonded Porcelain Restorations? BPR is needed anytime your teeth's biting surface needs to be restored. What happens during a BPR procedure? The affected area is numbed so you can enjoy maximum comfort. Tooth decay is removed and the infected tooth is shaped with a specialized handpiece. Our dental team will take an impression and send it off to a lab while outfitting your mouth with a temporary replacement. The lab custom-designs the impression and sends it back. On your final visit, the temporary bonding is removed and your brand new one is placed. BPR is one of the best dental services offered at our office and we want you to take advantage of it today here in Las Colinas.